Meet Dr. Arsalan Khan, M.D. Dr. Arsalan Khan joined the Reddy Cardiac Wellness as a primary care physician	to add a holistic approach to the care of our patients. Dr. Khan is certified	to manage majority of health care needs including chronic diseases like	diabetes and hypertension, and acute illnesses like respiratory infections, allergies,	and minor trauma. Dr. Khan completed his residency in Family Medicine at the University of	Illinois Urbana-Champagne Carle Foundation Hospital where he became a	chief resident. He worked as an Assistant Professor in the Department of Family Medicine	at the University of Illinois Urbana-Champagne Carle Foundation Hospital	for two years. 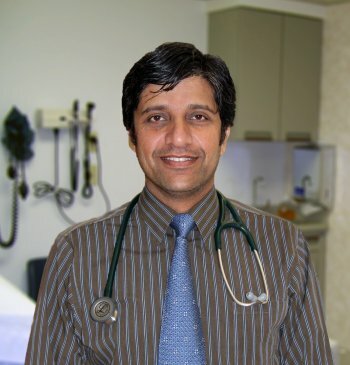 Dr. Khan also served as an Assistant Professor in the Department of Family	Medicine and as a Faculty in the Family Medicine Residency Program at	UT Houston for three years. Dr. Khan shares the same passion as Dr. Reddy in providing the best care	for diabetes and	heart disease patients with emphasis on wellness and prevention.